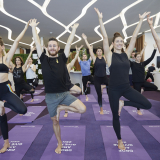 Virgin Australia today launched flights between Melbourne and Los Angeles, bringing the world’s best Business Class, ‘The Business'1, to the route for the first time. 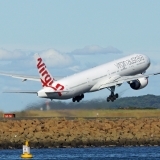 Flight VA23, operated by the airline’s flagship Boeing 777-300ER aircraft, departed Melbourne at 11.30am and will land in Los Angeles at 9am, meaning both business and leisure travellers can enjoy a full day on the ground. 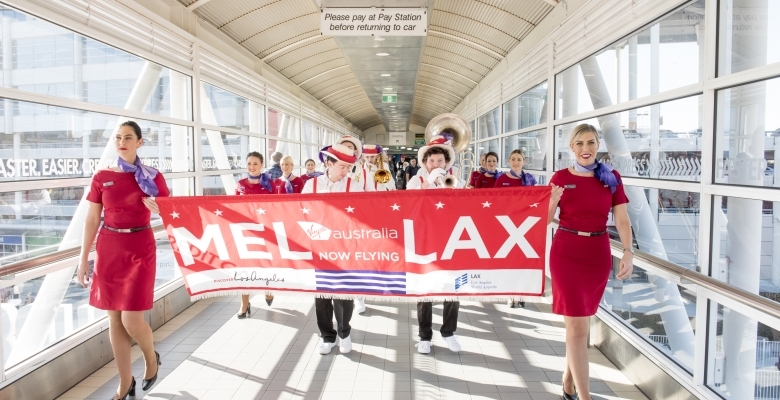 Virgin Australia created a buzz at Melbourne International Airport ahead of the inaugural flight, with an American-themed marching band entertaining passengers at the check-in hall, cupcakes and LAX Duty Free vouchers handed out for all passengers boarding the flight. On board the inaugural flight, Hershey’s milk chocolate bars and Budweiser beer was available to all guests, while Business Class passengers were offered Pumpkin Pie served with Crème Fraiche for dessert. 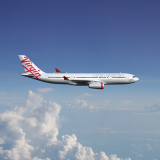 Group Executive Virgin Australia Airlines, John Thomas said: “We are delighted to commence services between Melbourne and Los Angeles today, bringing the Virgin Australia flair and sophistication to this route. “Los Angeles and North America is an important market for us and through our partnership with Delta Air Lines, we offer passengers 25 return flights per week across the Pacific and remain the only trans-Pacific alliance to offer Business Class guests lie flat beds with direct aisle access on all services. Delta will also codeshare on our Melbourne services, and passengers can earn Velocity Points and Status Credits, have their baggage checked through and enjoy reciprocal frequent flyer benefits on the ground,” Mr Thomas said. Friend of Virgin Australia and Melbourne local, Dannii Minogue, was there to celebrate the launch before boarding the flight. Ms Minogue said: “Virgin Australia is my favourite way to fly to the US and I’m absolutely thrilled they’re bringing their renowned service to my hometown of Melbourne. 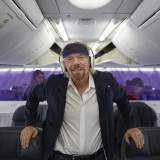 “When you step on board ‘The Business’ you can see why it was voted the best in the world, but Virgin Australia makes you feel like a VIP no matter which cabin you’re in. The crew are always so friendly and helpful especially when travelling as a family. 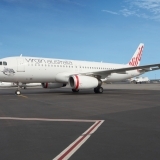 I’ll certainly be taking this trip regularly with Virgin Australia,” Ms Minogue said. ✈ Virgin Australia’s world-first partnership with Nespresso to be served in ‘The Business’ and at the Business Class Bar. ✈ Nespresso coffee and Madame Flavour Tea along with a Premium Pantry for exclusive use by our Premium guests during the flight.